If you are planning to apply for financial aid, please notify the admissions office so that we can forward the application information to you. Please visit the "Affording Linsly" page for more information. Once the application process for admission has been completed, the admissions committee will meet to discuss each applicant. 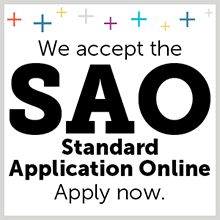 Once a decision is rendered, the admissions office will notify the applicant of the decision. Once an application process for admission has been completed, the admissions committee will meet to discuss each applicant.